Head Injuries: Which Scan Is Best? Some brain injuries may evade certain scans, so choosing the right scan to diagnose problems resulting from a head injury requires careful consideration. Studies conducted in recent years have revealed that soldiers wounded by explosions in Iraq and Afghanistan showed delayed signs of brain injuries despite the fact that their MRI and CT scans had been normal. It turns out that some brain injuries are too subtle to be revealed by standard scans, and require a highly sensitive MRI scanning technique to detect. When Do I Need a Specialized Scan? If you have sustained a head injury, how do you know which scan is best? And, what do you do if your doctor’s office, local hospital or medical facility offers only a standard scan? You can rest easy for two reasons. First, a concussion can be diagnosed by the symptoms you display after injury including any loss of consciousness, memory or feeling dazed. Second, most mild head injuries don’t require more than a standard magnetic resonance imaging (MRI) or computed tomography (CT) scan to detect internal damage. However, if your head injury was sustained from an explosion, you may want to ask your doctor about the possibility of more sensitive scanning. The specialized scanning technique that experts used to detect subtle brain injuries in soldiers can be done with most MRI machines. 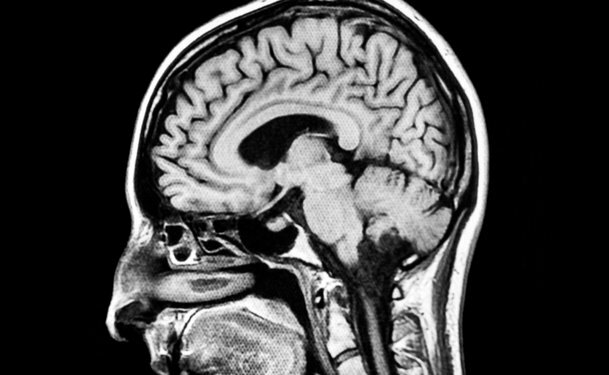 This advanced diagnostic technique, known as diffusion tensor imaging, or DTI, costs about the same as a standard MRI and takes about the same amount of time. So how does this scan differ from a standard MRI? This scan, which is currently being investigated for use as an improved diagnostic test for brain injury and neurological disorders resulting from strokes, multiple sclerosis, epilepsy and concussions, measures the movement of water in the brain’s nerve fibers. If there is an abnormal flow of water through these fibers, it may indicate brain injury. Any changes in the brain are detected in bundles of axons, the fibers that carry signals. This advanced MRI scanning technique is still being developed and isn’t yet available for wide clinical use. When it is, it will require a technician who has received specialized training. Until then, rest assured that for most head injuries, your doctor will diagnose and treat you using a combination of tried-and-true techniques: assessment of your presenting symptoms and standard MRI or CT scan. If you need more sensitive scanning, your doctor can likely request a Diffusion MRI (dMRI), which has been available longer than DTI and, though somewhat less advanced, will measure the diffusion of water among the fibers in your brain to indicate possible neural damage.